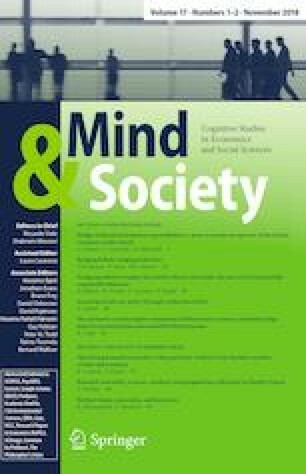 In this paper we question the hypothesis of bounded rationality against full rationality in the context of job changing behavior, via simple econometric explorations on microdata drawn from Worker Histories Italian Panel (WHIP) and Sample of Integrated Labor Market Biographies (SIAB). The identification strategy builds on a quasi-counterfactual experiment in which the performance of each voluntary mover is compared to the average performance of a peer-group of stayers of the same skill group, co-workers in the firm from which the movers’ job switch originated. Voluntary movers are identifiable in the WHIP and SIAB datasets, while it is not possible to do the same among the stayers. Full rationality suggests that the performance of voluntary movers should be superior to the stayers’ (both voluntary and involuntary) as the involuntary stayers have a smaller decision set from which to choose. In this exploration we find a clear opposite result, which we take as evidence of bounded rationality of the movers. Bruno Contini is grateful to C. Flinn for a casual observation at lunch table that led me to readdress from scratch the identification strategy of this study. I also thank an unknown referee for useful comments.